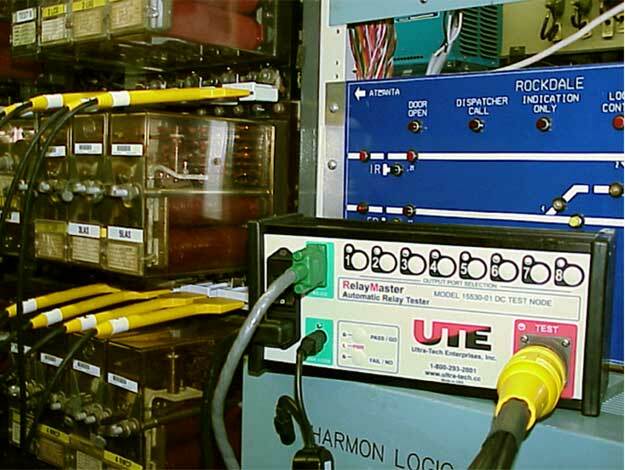 Ultra Tech Enterprises | Railroad Testing Equipment | RelayMaster Automatic Relay Testing Welcome to Ultra-Tech Enterprises, a Railroad Testing Equipment Provider in Punta Gorda, Florida . 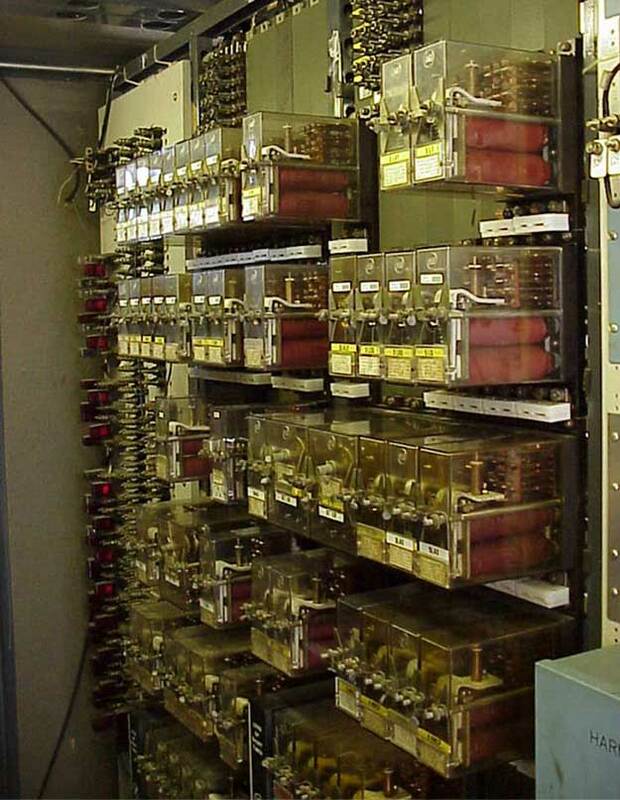 RelayMaster is an automatic relay test system capable of testing from one to 64 relays simultaneously without having to remove them from the rack. System automation improves efficiency and reduces track time requirements. The PC-based system stores test parameters and results in a database for ease of reliability and trending analysis. RelayMaster improves test methods, obtains accurate test data on demand, automates permanent data recording, and eliminates human transcription errors. RelayMaster is available in several configurations from a single stand alone test node, to an eight node system, and a software only version for data management. Lower your overall cost through efficient methods and reliable equipment. Improve your testing with the following benefits. Automated testing for improved accuracy and efficiency. 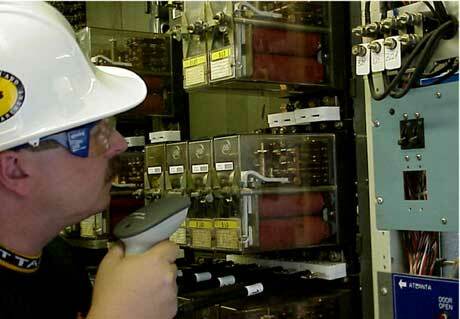 Reliable test results -- minimal human intervention. 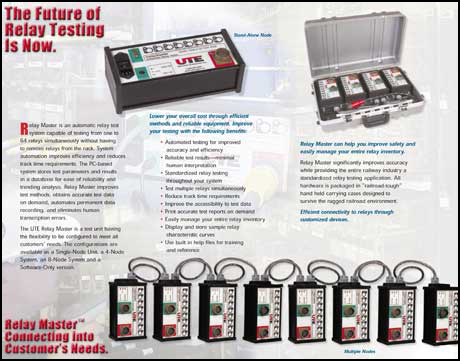 Standardized relay testing throughout your system. Improve accessibility to test data. Print accurate test reports on demand. Display and store sample relay characteristic curves. Use built in help files for training and reference.